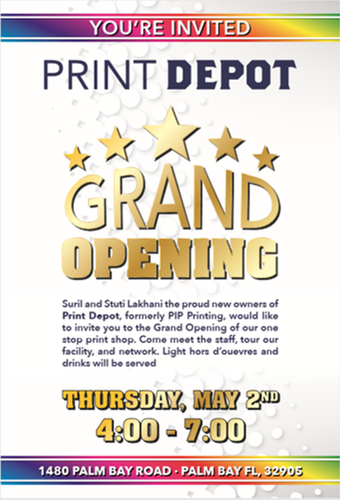 Come and join us for Print Depot Grand Opening! Come by and meet the new company staff, welcome them to the community and enjoy networking with the Business Leaders of the area! Snacks & refreshments will be served! Ribbon Cutting at 5:00 p.m.